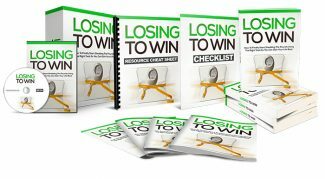 You Now Have Access To Losing To Win Check Your Inbox For The Download Link. "Now You Can Get Instant Access To 10 HOT Video Tutorials Showing You How To Lose Weight Sustainably!" I recorded 10 exclusive, step-by-step video tutorials that'll give you advice on how to effectively lose weight without damaging your health.